Looking ahead to constantly improve and modernize something isn’t always the answer to the problems we face in today’s world. And this includes beekeeping. 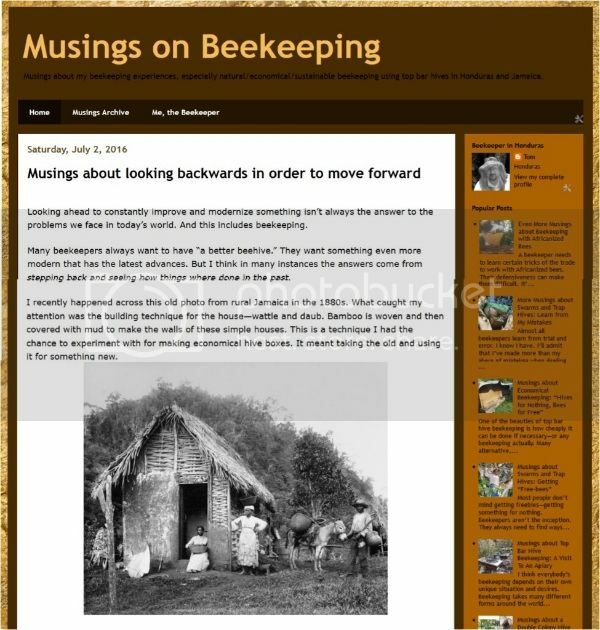 Many beekeepers always want to have “a better beehive.” They want something even more modern that has the latest advances. But I think in many instances the answers come from stepping back and seeing how things where done in the past. I recently happened across this old photo from rural Jamaica in the 1880s. What caught my attention was the building technique for the house—wattle and daub. Bamboo is woven and then covered with mud to make the walls of these simple houses. This is a technique I had the chance to experiment with for making economical hive boxes. It meant taking the old and using it for something new.